Mrs. Shonta Denise Garnes Brown was born on December 31, 1985 in Hampton, South Carolina to Mrs. Susan Murray Garnes Williams of Varnville, S.C. and the late Mr. Henry Garnes, Jr. of Ridgeland, S.C. She is the step daughter of Mr. Willie Williams of Varnville, S. C. Shonta was the youngest of six children. She was initially reared in Early Branch, S.C. but later moved to Hampton, S.C. where she graduated from Wade Hampton High School, Varnville, S.C. Shonta furthered her education, in pursuant of a degree in Education at the Technical College of the Low Country, Beaufort, S.C. She aspired to become a teacher and entrepreneur. 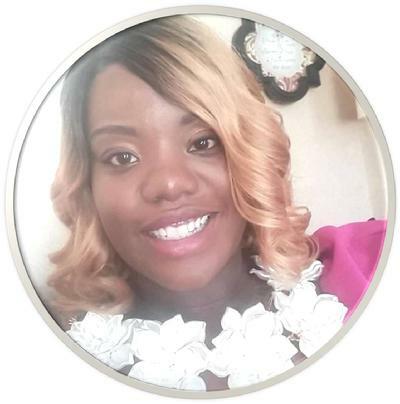 At a young age, Shonta accepted Jesus Christ as her Lord and personal savior and was filled with the Holy Spirit at Evangelistic House of Prayer for all People, Yemassee, S.C. As she attended other churches in the surrounding areas, she was a faithful servant. She was not ashamed of the gospel of Jesus Christ because it leads to repentance. Shonta was a beloved child of the living King, a great selfless mother, daughter, sister, aunt, niece, cousin, confidant, advisor, and friend. Shonta radiated beauty, respect, elegance, love, leadership, intelligence, confidence, boldness, and inner strength. She had a spirit that was unbreakable, strengthened, formed, fashioned, comforted, molded and nurtured by the Holy Spirit. She, with many God given talents and gifts, was purposed with great faith and prayer, compassion, and endowed with the spirit of helps, teaching and perceiving, encouraging, administrating, and highly anointed by the will of God. Shonta met the love of her life, a God fearing husband, Eldonis Brown who loved her as Christ loves the church. Donnie and Shonta became united as one (flesh and blood) through the power of the Holy Spirit. Donnie worshipped the ground Shonta walked upon and loved their family unconditionally. She was gainfully employed in retail, finance, education, and the sales industry. Preceding Shonta in death was: her father, Henry Garnes, Jr. and her brother, John Kevin Garnes. Shonta leaves to mourn, a loving husband, Eldonis Brown of the home; (2) Daughters: Jayla of the home and Baby Ava, (who she will see some day in Heaven); (2) Sons: Eldonis, Jr. and Donald, Jr., of the home; Her mother and step father, Susan Garnes (Willie) Williams of Varnville, S.C; (2) Sisters: Elaine (Robert) Witherspoon of Abilene, TX and Tammy Spates of Columbus, GA; (2) Brothers: Henry Andra Garnes and Jamie Jermaine Garnes, both of Hampton, S.C.; A host of aunts, uncles, nephews, nieces, cousins, other family members and friends. Our hearts are broken at the sudden loss of our beloved Shonta Garnes Brown. We were planning to welcome new life and celebrate another addition to our family. Nevertheless, we trust God for supernatural strength, supernatural comfort, and everlasting peace. Shonta, we say well done thy good and faithful servant. Wear your everlasting crown and wear it well. May your crown of jewels shine bright like the morning star. You will forever shine in our hearts and spirits with much dignity, respect, grace, and the greatest gift of all love…sweet love.